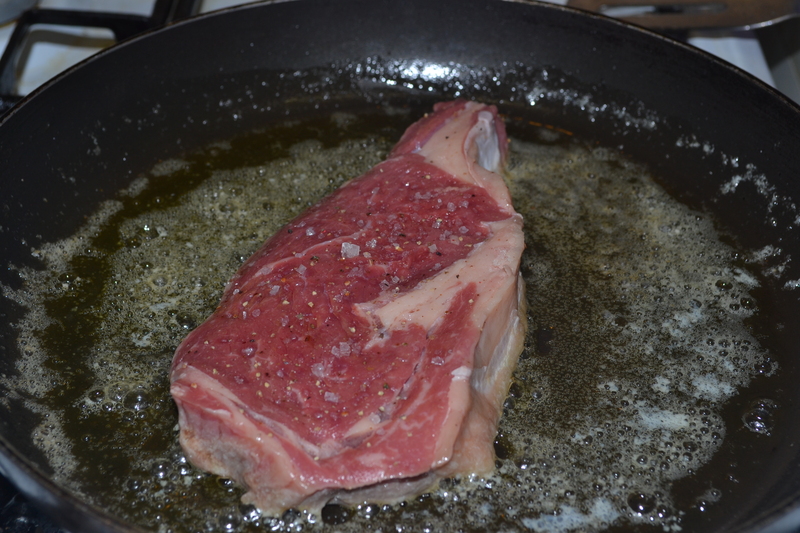 First I created a base of heated oil and flour, so the sauce is right thickness. 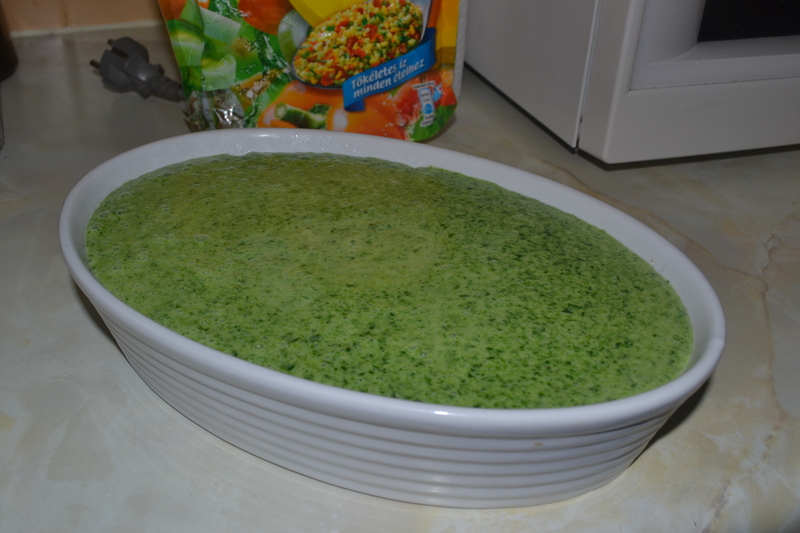 Use flour and oil depending on the quantity of the spinach: be aware, it’s easier to make it thicker later, so if not sure then put less flour. 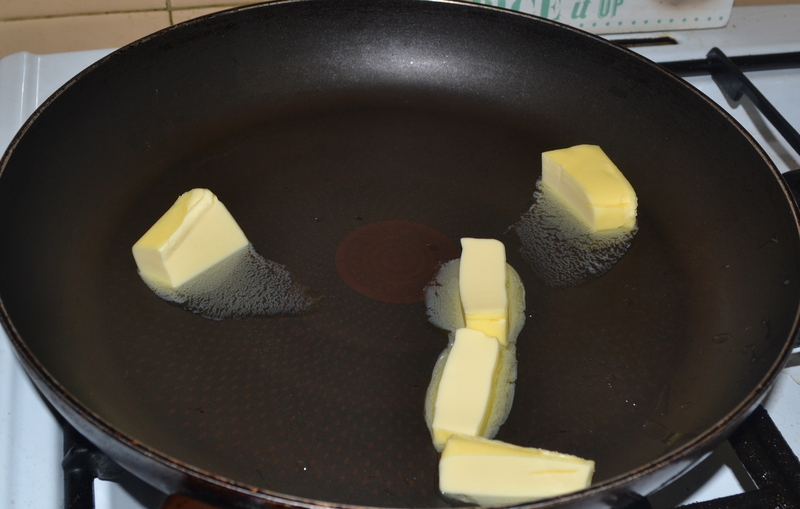 I usually start with 3 tablespoons of oil, and then add as much flour as it can absorb. It should not be grainy or too thick. 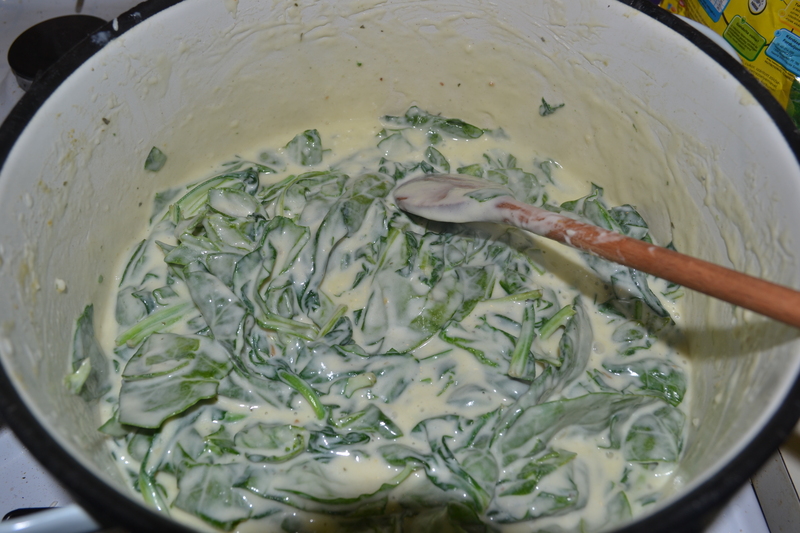 Then I add the cream and sour cream for extra smooth texture – 2 dl of cream and 2-3 tablespoons of sour cream. When all this is ready, I season with salt, pepper and garlic. 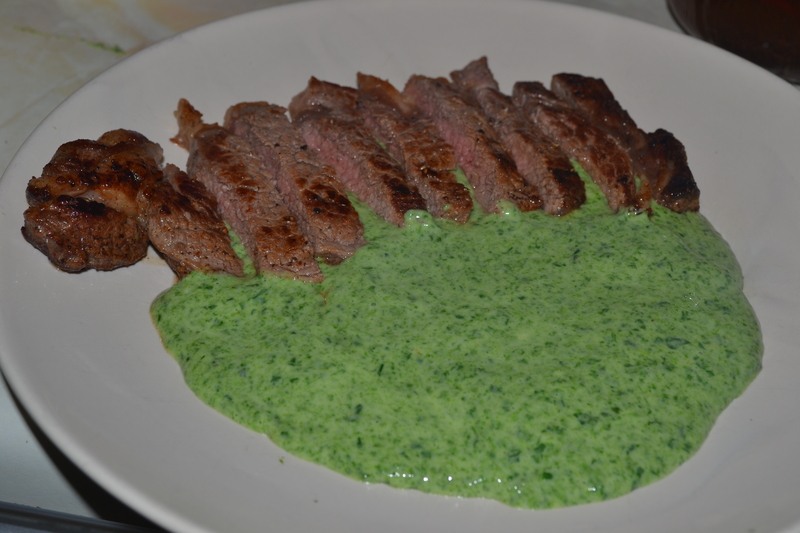 I cook it for about 10-15 minutes, on medium heat. Once it’s done, I blend it all together. 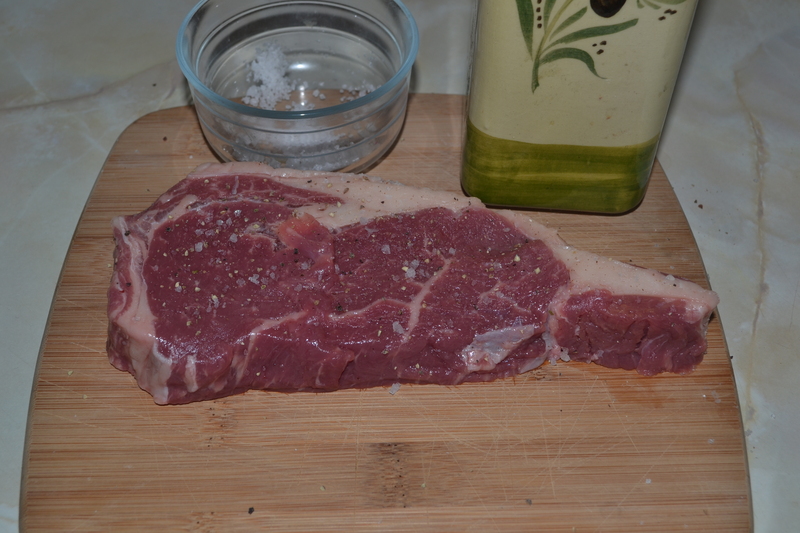 For the steak, you know the drill, season both sides with sea salt, pepper, and garlic (I used garlic paste). 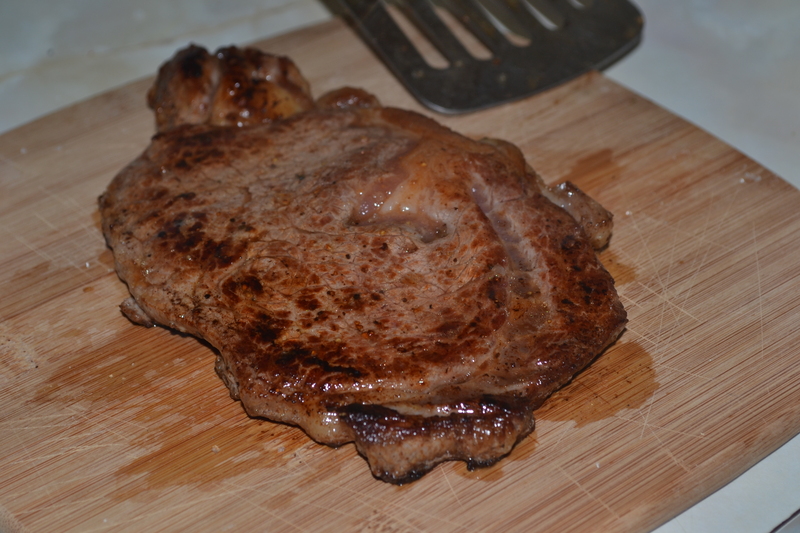 I did 3-4-mins each side, as it was quite a thick steak.